Today I have another nail inspiration post for you. This month's nail inspiration comes from Anna Sui as tribute to her new nail polish bottle design which debuts this fall. I just got the latest edition of Nail Venus and as soon as I opened it I saw this. 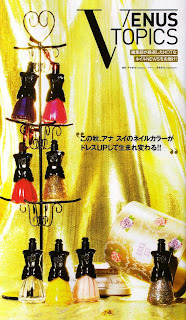 According to the magazine, this fall, Anna Sui nail colours dress up, being reborn!!! I am so excited, I am absolutely loving the new design and can't wait for these to debut on October 1. 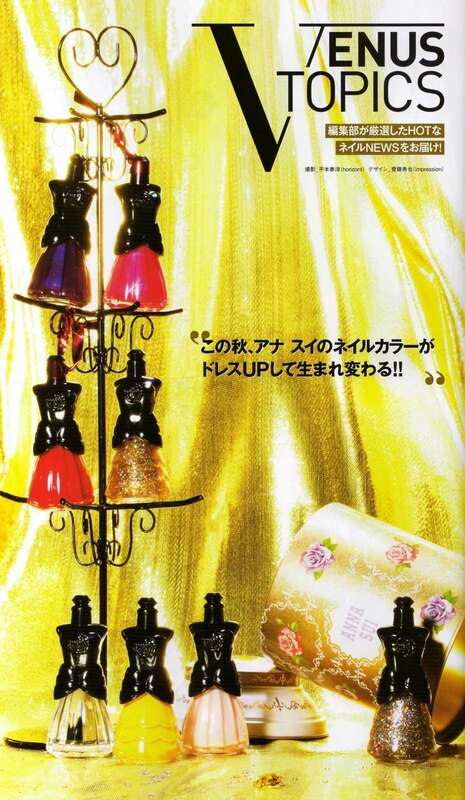 Hopefully I will be able to get some with the help of my friends, as Anna Sui cosmetics are not available here. 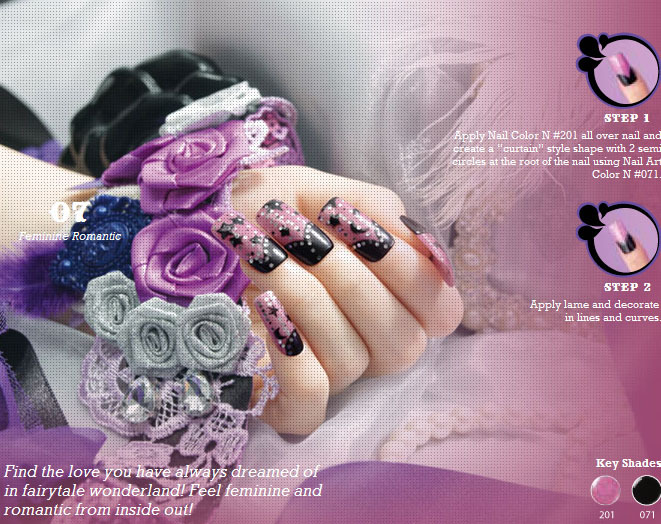 So to celebrate this rebirth, here are a few nail art tutorials that were up in the summer at Anna Sui cosmetics. What do you think of the designs? I am absolutely in love with all 3 of them (which is why Iam sharing them here too as I cannot seem to find them on the site anymore). Anna Sui still remains my main nail inspiration, as it was her lovely nail polishes that got me interested in nail art when I first went to Japan, many years ago. p.s. the first image is from Nail Venus and has been scanned by me. The tutorial images are from Anna Sui cosmetics. To see a larger version of each image, just click on it. I am Anna Sui's biggest fan! Love her products so much!!! Wow, thanks for sharing! The new bottles are so elegant and all 3 designs look great! Η συσκευασία τους είναι πολύ χαριτωμένη! !